Australia is a country which has ample of opportunities for people willing to immigrate to this beautiful country. The nation is alive with diverse lifestyle, sublime climate, quality education system and job prospects. With a strong history of immigrants coming to its shores every year in huge numbers, the nation has much to offer to them in terms of work and employment opportunities. Australian immigration as a temporary skilled worker for overseas nationals has been facilitated by the Australian 457 visa. This is a temporary work visa provided to an overseas skilled worker which lets them reside in Australia for a maximum period of four years, during which time the individual has to work in their nominated occupation for the employer who has sponsored him or her. One can apply for permanent residency after working for only two years. Most of the holders of the 457 visa usually get their names included under the Temporary Residency Transition Stream which gives them a chance to apply for a permanent Employer Nomination scheme in just two year’s time. The minimum salary level is 53,900 Australian dollars. However, an individual can claim the same salary that his or her Australian counterpart is getting in the same business and position as them. This falls under the Market Salary requirement. In case there is no Australian counterpart in the same position, then the employer has to prove that you are eligible to be paid the same as that due to an Australian employee. Australian immigration requires scrutiny of some 457 applications and occupations that are considered high-risk. These are jobs related to cafes and restaurants and occupations like business establishments which are functional for less than a year. Start-up businesses are usually granted visa approval for a period of 12 months. Your employer should be able to provide proof that the position had been advertised and that there was a dearth in local laborers. That is why he was in need of skilled workers from abroad. This would require showing evidence of advertisement, especially in fields like nursing, engineering and trading. 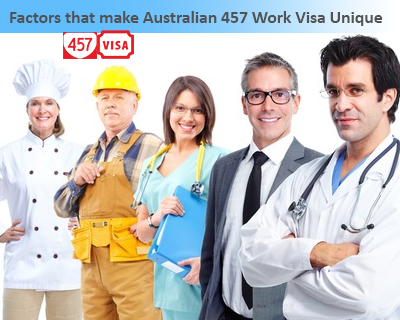 Last but not the least, you need to provide skills assessment for getting this 457 visa. Although not mandatory, this is a time consuming and expensive process. Even if you don’t provide this assessment, you need to fulfill the conditions as set by the ANZSCO code of occupations. People who interested to work in Australia, can fill out our Enquiry Form, our visa experts will get back to you. Hi sir Greetings of the day..!!! #“Indian curry chef” at The Pavement, Kampala Uganda. # “Chef de Parte –Indian cuisine” at Ocean and Earth Restaurant, Muscat -Oman. # Chef de party-Indian cuisine at Devyani International (Ltd.) Gurgoun HR-India. Employer Information: Pavement Tandoori was one of the best Indian Mughlai cuisine restaurant in Kampala and Now the new Owner Has change his name The Pavement and it is also people know as Pavement Tandoori. # Commi Chef – Indian kitchen at Select Hotels Manesar Gurgoun HR. India. Employer information: Select Hotels Manesar A stupendous fusion of vibrant colours and landscapes of Indian ethnicity and International eloquence makes Heritage Village, Manesar a unique 154 rooms and suites experience. #Trainee chef (Indian cuisine) At The Residency Manesar Gurgoun HR. India. v Food demonstration, Live TV Show by the biggest TV station in Uganda – WBS on 09/10/2006. v I was part of the catering team for IMRC Maneser from select hotel which was opened officially by the President of India H.E. Dr. Abdul Kalam in 1993.
v Special food demonstration for former Home Minister Dr. L. K.Adwani in Surya Mahal the restaurants of Select Hotel Maneser . v I did my food demonstration for a worldwide Travelers Group “KONY” 1992 to 1995, every weekend at Select Hotels Maneser Gurgoun, H.R (India). v I have prepared food for Foreign Minister “Hon. Rakesh Sharma” From “Pavement Sizzalers & Flames P.O Box 1571 Bugolobi, Kampala, Uganda. v Keen in learning new things and sharing thoughts with others. v Change according to work environment. v Positive approach towards problems, believe in analyzing, interpreting and deriving result from any situation. v Father’s Name: Mr. Sohan lal.